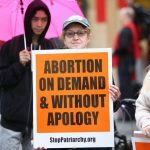 By now, you’ve probably heard that the U.S. Supreme Court ruled in favor of one of the most restrictive abortion laws ever introduced. Here’s the history behind the ruling. 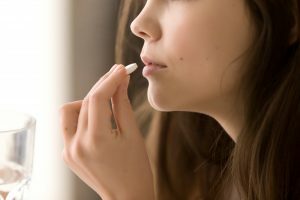 In March 2015, the state of Arkansas passed the Abortion-Inducing Drugs Safety Act, which effectively bans all medications used to terminate pregnancies. But before the law could go into effect, reproductive health care provider Planned Parenthood sued to block the ban. A federal judge issued a temporary restraining order because the law was similar to one that the Supreme Court ruled as unconstitutional two years prior. The U.S. Supreme Court legalized abortion in a 1973 landmark decision called Roe v. Wade. However, states can still restrict the practice to varying degrees. In July 2017, the Eighth Circuit Court of Appeals sent the case back down to the lower court. But on May 29, 2018, the Supreme Court rejected the appeal, which allowed the lower court’s restraining order to expire. As a result, the law is expected to go into effect in mid-July. But pro-choice advocates aren’t giving up just yet. Physician Brandon Hill, president and CEO of Planned Parenthood Great Plains, vowed to continue fighting the law.